“Our thinking is permeated by our historical myths,” said one Freeman J. Dyson. But what happens when historical myths take up realities form? One could only wish that this question could pierce through the hard original skins of pro-apartheid ambassadors whose beliefs, to this day, continue to protrude on the contours of the smiles of their children. It would certainly be naïve to believe that a system which was mixed with belief would just die out a little over a decade after its imminent fall. A day after Women’s Day, we converged at The Nelson Mandela Square’s Old Mutual Theatre (O.M.T) in Sandton for Phillippa Yaa de Villiers’ Original Skin, directed by Vanessa Cooke. The picturesque statue of utat’ uNelson Mandela ushered us to Daphne Kuhn’s (Producer/Owner and Artistic Director of the O.M.T) opulent venue which was filled to the rafters on this particular night. I spot a few familiar television/radio/film and stage personalities who had come, some maybe out of curiosity, to see the acclaimed play, and others out of a pure, unadulterated love for theatre. In the opening scene of this one (wo) man play, one can already scantly sense the undulating dynamics of relations between Alex, the protagonist daughter, and her Afrikaner adoptive family, particularly her adoptive mother. The mother, in all sincerity, tries her best to protect Alex, going as far as protecting her from her identity and from all those who question it; seeking to rescue her from the abyss of a society riddled by the maze of classification and from the racist throngs of bus-drivers and ignorant cinema staff. The fact that this is an autobiographical work throws the audience plumb dead in the center of Alex’s world. The play is an education to the ignorant minds of post apartheid born South Africans, a reminder to the old. Phillippa brings the different characters to life, taking on their personas to guide the play to its acme. Going back and forth, guiding us through the shanty bushes of a ghost-like system. Told from a refreshing angle, that of a deserted colored girl of Australian and Ghanaian roots, adopted by “Hendrik Verwoerd’s South Africa.” Phillippa briefly takes you to Australia, the country of her birth mother, to the confrontational streets of her suburb where white children were quick to put her in her ‘place,’ to the fiery aftermath wrought by the events of 1976, to Steve Biko’s death. The climax arrives whilst Alex is at university. Her transitioning into her own skin came as a result of shame; shame of her privilege and the suffering of her own people and the death and events at the burial of Matthew Goniwe. It was interesting to see Phillippa outside of her natural element of poetry. 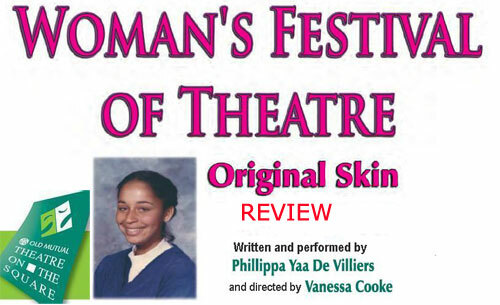 Original skin was originally directed by Robert Coleman and presented at the Market Theatre in 2008, making it sit between her two poetry anthologies, Taller Than Buildings (2007) and The Everyday Wife (2010). After the show, I planted myself on the staircase leading to the exit of the O.M.T to gather the thoughts of the audience as they left. 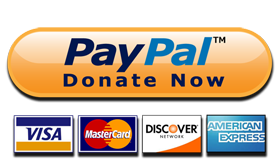 I introduce the site to a white South African, England based family and ask for their thoughts on the show. “I thought the writing was very good, beautiful language and storyline as she got into each character,” says the drama student (and grandma quickly adds what a brilliant student she is). Being a drama student also means she is very critical and so she highlights some flaws on the acting, “It took a while for me to get convinced by her acting, something’s didn’t seem quite natural, maybe it’s because she was portraying herself and maybe she put on too much because she was on stage…” She goes on to say that the theme was lovely and she enjoyed the visual imagery. 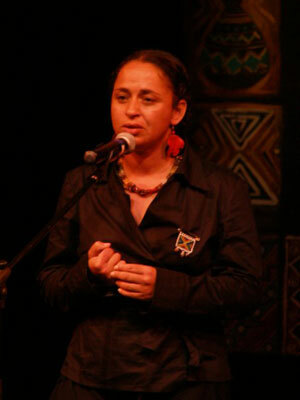 Her father expresses the relevance of the play as he was brought up in apartheid South Africa. He shares how he relates to the segregation which occurred during the time and states that the play was overwhelming as it brought back vivid memories of those oppressive days. Downstairs I spotted the beautiful Pabi Moloi with Jamie Bartlett and Relebogile Mabotja of Rhymth City. Jamie is a runner, so he passed the baton to Relebogile who had this to say, “I think the story was absolutely beautiful and unique. I’ve never thought about a colored person in this country originating from Australia and being opened to the idea that our country really is filled with people from all over the world and we are completely unaware of it, that’s what I enjoyed most about coming here this evening.” On whether black and white South Africans have put their differences aside she said, “Definitely not. I think we’re tolerating each other and there’s a very small percentage of people who can still manage to find a way of leaving together.” A very eloquent sister Lebo turned out to be, understanding the broader dynamics of race relations beyond Mzansi. To conclude; Original Skin is a very relevant, and creatively executed production, even in the context of today’s democratic South Africa. The script itself was enough to carry the message to the masses that filled the venue on this particular night. It sees a rainbow nation (whose colors are forced to collide by the politically steered demographics of democracy) tasked to look closely at the other characters in the spectrum of the rainbow and acknowledge that their contribution is as significant as their own. That they too are as original a creation as the tree’s, skies and water. A nation once forced to live in separation is being begged to appreciate the beauty stolen by the systems of man. of who we are and who we are menat to become.